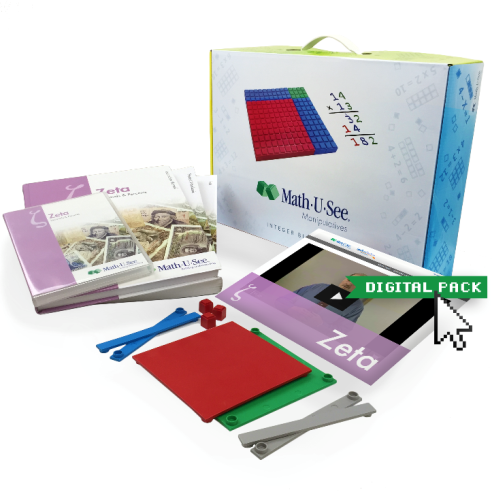 For the past few weeks Julia has been using the Zeta Level of Demme Learning’s Math-U-See Digital Packs. Pretty much everyone in the homeschooling world has heard of Math-U-See. We had the opportunity to review their spelling program, SpellingYouSee, last year. This year we were blessed to receive the entire Zeta package, including the new Digital Pack. The Digital Pack retails for $38.00. 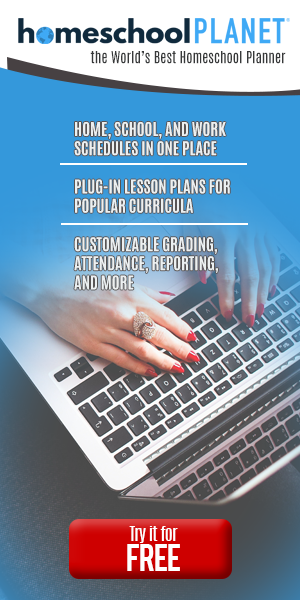 It does NOT include any of the physical materials like the student book, teacher book or manipulatives. This was our first experience with Math-U-See and their signature manipulative way of doing things. The Digital Packs basically replace the DVD and teacher’s guide. The instructional set retails for $52.00. See? You’ve already saved money just by getting the Digital Pack AND you don’t have extra stuff to store once your child is done with the level. Also, the online manipulatives allow your student to use the manipulatives without purchasing them. * I will say that if your child is hands-on, the digital manipulatives may not be enough. What is the Zeta Level? Zeta focuses on the math that happens to the right of the decimal. Percents, decimals, and the multiplying/dividing/adding/subtracting of those numbers is where Zeta helps your child advance. There are placements tests on the website for all the different levels if you are unsure where to start your child. Math-U-See is a mastery building curriculum, so with each new level there is an assumption that your child knows the previous levels. We’ve been able to create worksheets and watch lessons on both the iPad and my Chromebook, so that makes it super convenient. Being able to customize and print new worksheets is really nice when the worksheets supplied in the student text just aren’t enough. Once Julia got far enough into Zeta, things got challenging for her. And in some lessons the 6 worksheets just weren’t enough. Julia is in 7th grade. She’s amazingly intelligent and imaginative. She will write until she runs out of ink and read until she runs out of books. On the flip side of that, math makes Julia cry. She’s terrible at it. . . always has been. There’s just something about math that she hates. Over the years you hear there are two types of students- those great at math and those great at language arts. Julia is definitely a part of the latter group. That being said, she didn’t hate Math-U-See. Having the hands-on manipulatives helped – a lot. Which is why I may have to call the digital manipulatives a possible con. The digital manipulatives- for some children. Thus far, all 5 of my children are extremely hands-on, which makes me super thankful for the physical manipulatives we received. The only other possible con I could think of would be if someone is tech-challenged. There’s a lot of clicking and navigating to get what and where you need with the Digital Pack. Overall, this has been a great solution to Julia’s loathing of math issue. She’s doing math and not crying. . . I’d call that a win.